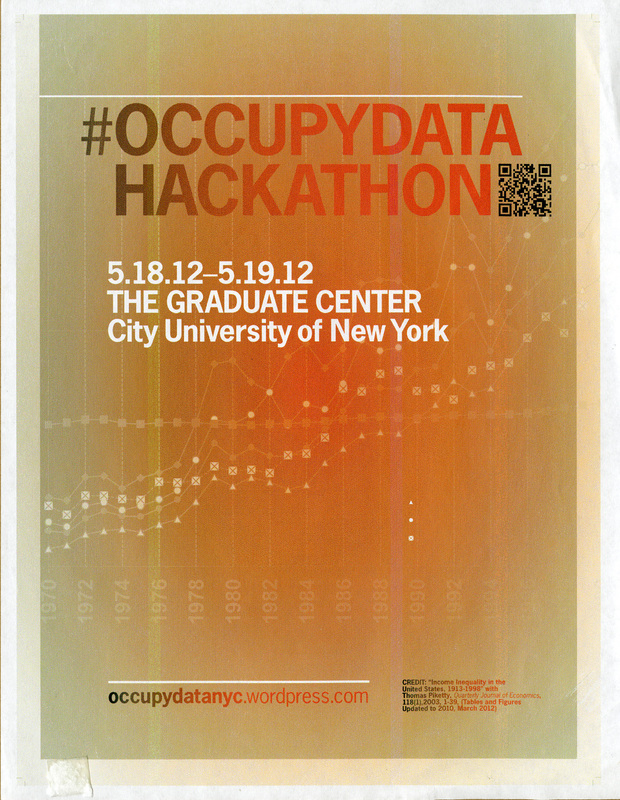 This flyer is for an Occupydata hackathon, which was held at the Graduate Center on September 28th and 29th. Occupydata NYC was a collective of developers, designers, researchers, artists, occupiers, and hackers who were discovering new ways of viewing and understanding the Occupy movement through analysis and visualization. Cite This document | Occupydata NYC, “Occupy Data Hackathon,” CUNY Digital History Archive, accessed April 18, 2019, http://cdha.cuny.edu/items/show/6612.